How do you « Revolutionize Pilot Training » for the US Air Force? The U.S. Air Force is short 2,000 pilots and needs to train new aviators faster but with the same quality. To do this, the USAF has committed to revolutionizing pilot training with the launch of the “Pilot Training Next” (PTN) initiative. 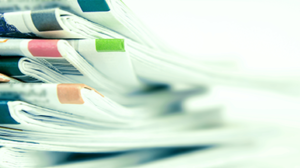 The AFWERX Innovation Challenge for PTN received almost150 proposals from leading companies around the world. Sixteen were selected as finalists to compete in the solution showcase shootout in Austin, TX with the award going to five companies. NAI and their flagship product, NeuroTracker was selected based on its scientific validation of cognitive assessment and performance. 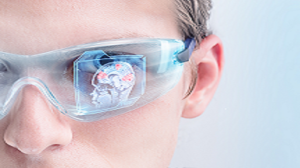 NeuroTracker is a world leading cognitive assessment, training and rehabilitation platform in use by Special Operations Forces (SOF) across the world to improve focus, situational awareness, predictive agility and decision-making under pressure. It’s no secret that the Washington Capitals won the 2017-2018 Stanley Cup. Alexander Ovechkin made sure that the whole world would know they won, after all those years being eliminated early in the playoffs despite having one of the best hockey players of this generation (and all time!). However, Ovechkin didn’t do it all by himself. Support players also had to step up to accomplish the impossible – winning the Stanley cup. And stepping up, Tom Wilson certainly did! 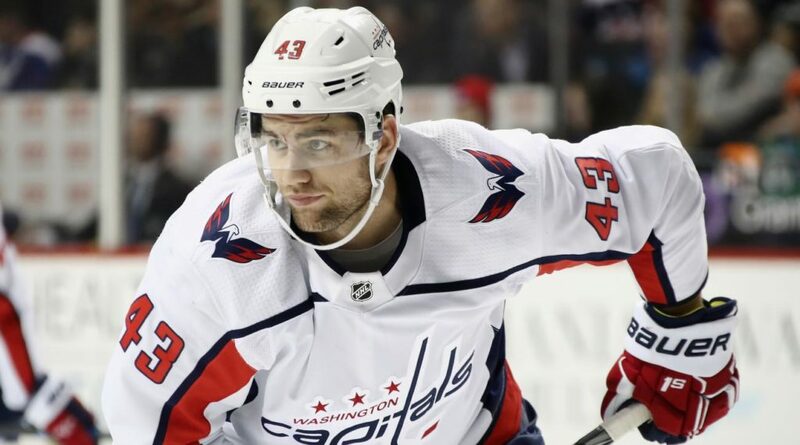 Tom Wilson has been using the NeuroTracker on a regular basis to train his cognitive and visual abilities. Looking at his results this year, it seems to have helped quite a bit! Obviously, many other factors can be the cause of this evolution, but we’re happy to see that our research is being used by the winners of the Stanley Cup! 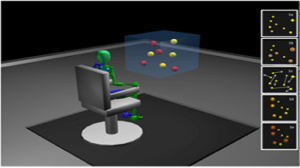 Tom Wilson funnily describes the NeuroTracker as “a bunch of balls bouncing around your monitor like an old Microsoft screensaver.” Indeed the NeuroTracker is a very simple task on the outside, yet with a lot of science and literature on the inside. Having a « simple task » allows us (the laboratory and its collaborators) to have a better scientific control over the effects we’re studying. 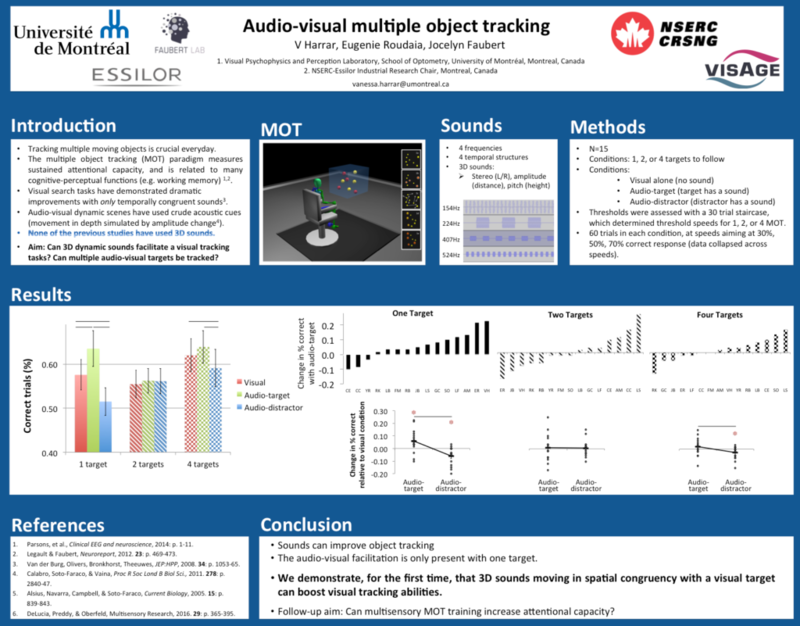 NeuroTracker is a technology developed by Prof. Jocelyn Faubert’s lab. 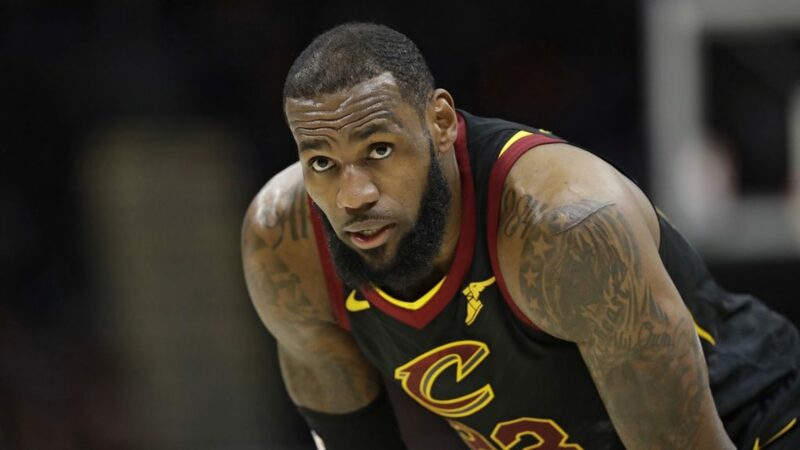 On May 18th (2018), Sally Jenkins posted an article on The Washington Post about LeBron James’ ability to read the game. They interviewed Prof. Jocelyn Faubert to know if he was as impressed as everybody else and what he had to say on LeBron’s skills. Faubert Lab at the Montreal Grand Prix! 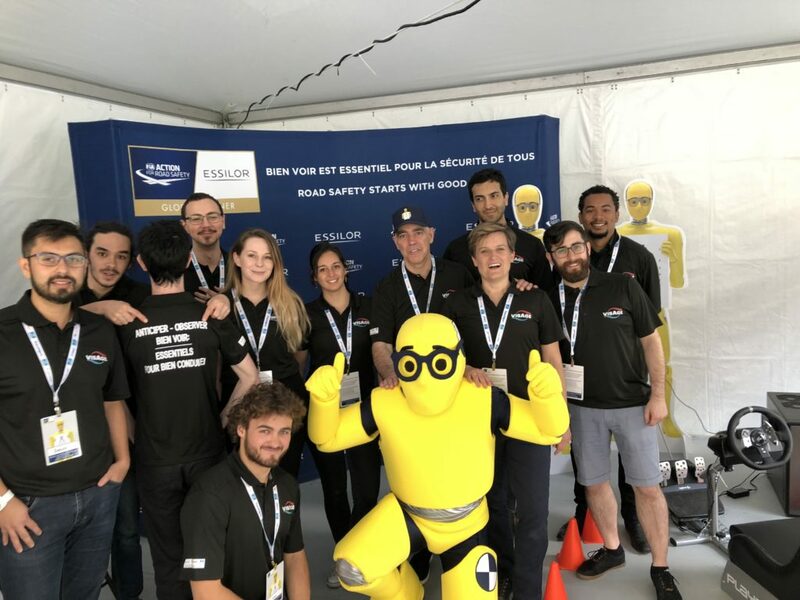 During the Montréal Grand Prix, Jocelyn Faubert, holding the NSERC – ESSILOR industrial chair on visual functions, and his students offered the Grand Prix’ attendees a driving simulation to raise awareness about the key role of vision in safe driving behaviors. 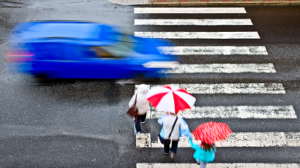 In partnership with Essilor Canada, this activity is part of a larger initiative from Essilor and the Fédération Internationale de l’Automobile to promote the importance of a good vision for road safety. More than 375 visitors experienced the simulation and exchanged with the students about key visual components for drivers and the importance of having a high-quality vision. 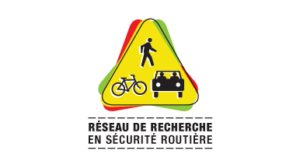 Jesse Michaels rewarded at the annual Symposium of Réseau de Recherche en Sécurité Routière (RRSR). Jesse Michaels won the third prize of the Student poster category for his presentation entitled: « Importance de la charge mentale et des mesures perceptivo-cognitives pour évaluer les différences liées a l’âge lors de la conduite automobile en simulateur » at the 7th annual RRSR Symposium, May 24, 2018. 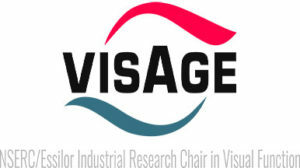 The VisAge Chair website is online ! Faubert Lab is looking for graduate students with programming skills and experience in machine learning and/or deep learning. 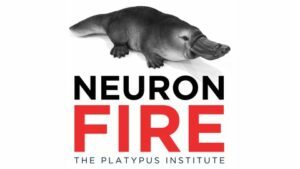 The Platypus Institute presents an interview of Jocelyn Faubert by Dr. David Bach, a Harvard-trained neuroscientist, physician and entrepreneur. 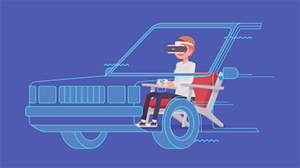 On the occasion of a report devoted to the autonomous vehicle and its technical and ethical issues, ICI Radio-Canada interviews Romain Chaumillon, a researcher at the Faubert Lab.